Safe beaches for toddlers and smaller children can be found, at most times, at the southern end of Pirates Bay, along Descent Beach and the beach north of the Tessellated Pavement. Depending on the weather and tide some larger waves can be experienced so care and common sense are needed. Photo: Jan Field – Beach below Lufra Hotel. 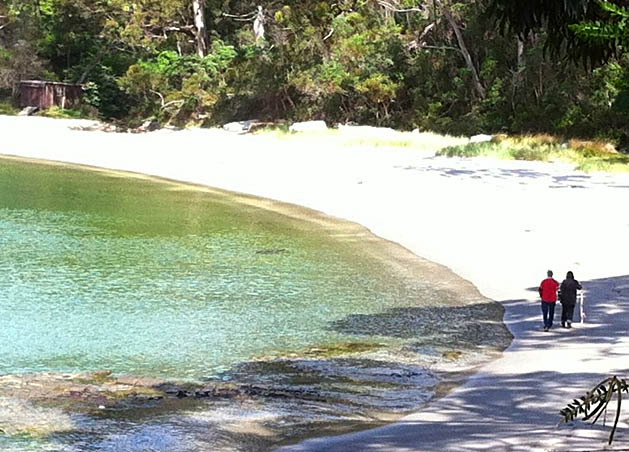 The end of Descent Beach nearest to the jetty and boathouses is generally the safest area for supervised toddlers, especially where Blowhole Creek flows into the bay. 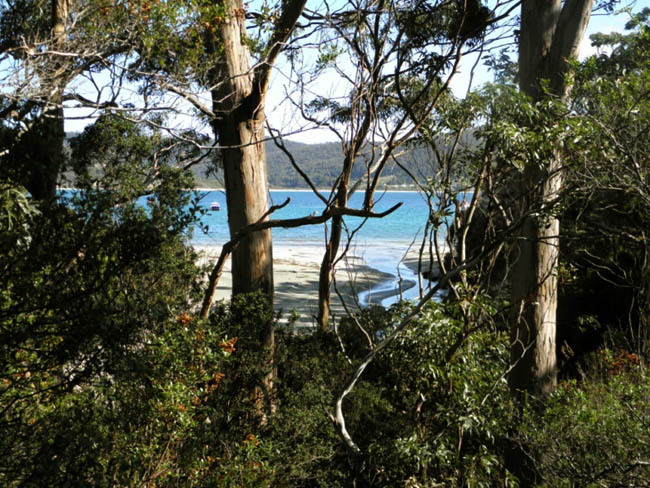 The northern end of Pirates Bay Beach at The Neck and southward to Egg Beach in the middle can provide some of the best surfing conditions in Tasmania. The beaches are not patrolled so care and self-responsibility is a necessity. There are car parks and beach access tracks dotted along the foreshore – just follow the signs and keep to the tracks as there are a number of birds that nest along the dunes. Dogs are allowed on a lead to the beach, however they must be under control at all times and their droppings cleaned up. For those who enjoy the waves there is a surf-cam. For those who just enjoy watching the action or a walk along a beautiful, wide, sandy beach watching the waves – this is a great place to pause for a while.